Several members of the Medliminal Team are attending D.C.Mardi Gras this year. 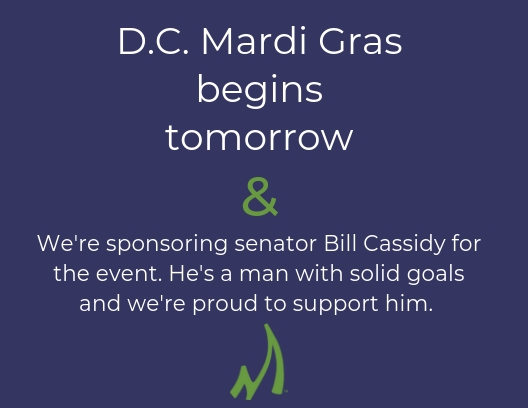 We are proud to be sponsoring Senator Bill Cassidy for this event. We believe in his goals and the steps that he has outlined to reach them. Specifically, Senator Cassidy recognizes the climbing health care costs and has many well thought out ideas on how to change the system. To learn more about his health care ideas, click on the button below!